I often want to write high level paragraph descriptions of functions as internal documentation to my code. I added a regular expression that determines the start of comments and can correctly indent them. Even if you add a word (making the line overflow the fill-column) you simply invoke fill-paragraph again and it will fix the line, without having to manually go through every line. 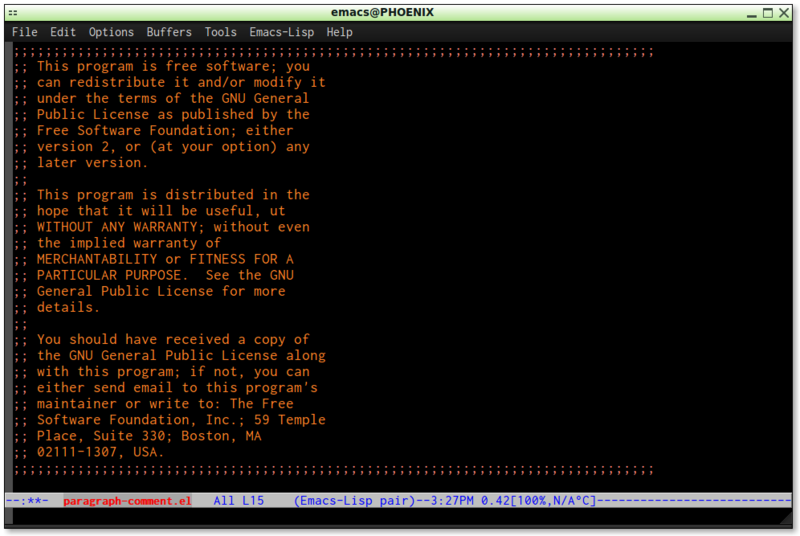 For a long paragraph with a comment in front, invoke "fill-paragraph"Fix into paragraphs in lisp. If I modify the fill-column by typing: M-x set-fill column 50, and then re-invoking set-fill-column, I can easily make the paragarph line lengths very short if I want.